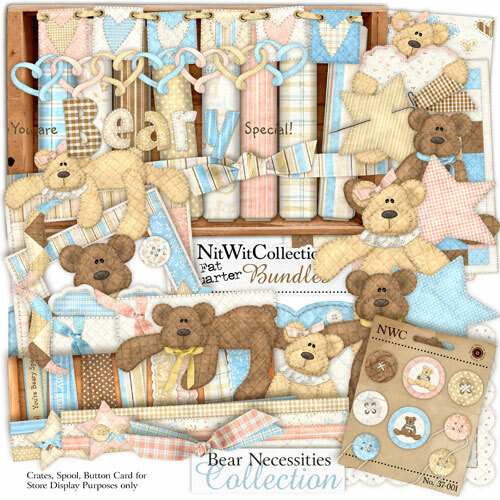 My "Bear Necessities" bundle is yet another in this series. What can I say? I had a little bear bepoppin' around in my head and he just had to come out... and so did his little friend too! The world loves a teddy bear, right? Right. Cause they are stuffed with love... and so is this collection! Hope these little bears capture your heart as they did mine!